“Prof. 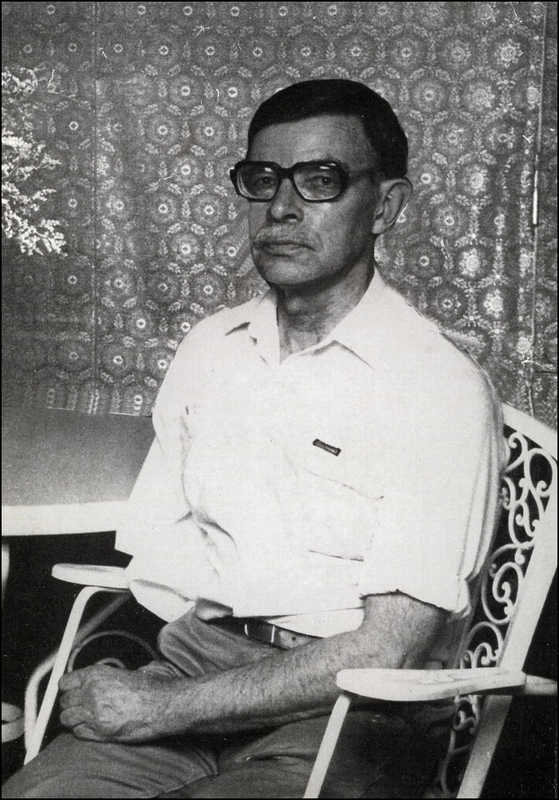 Yuri T. Struchkov (1926–1995) was a corresponding member of the Russian academy of sciences, doctor of sciences, professor, laureate of the State prize of the Russian Federation, as well as the Nesmeyanov and Fedorov prizes of the Russian academy of sciences, president of the National Union of Crystallography and vice-president of the International Union of Crystallography. Prof. Struchkov organized the Russian scientific school of organic crystallography and investigated the structures of numerous metal complexes, clusters, and other organometallic compounds. He encouraged wide use of X-ray structural studies in chemical research. He was the first to carry out systematic crystallographic investigations of the low-melting and unstable compounds at low temperatures. Prof. Struchkov paid a lot of attention to the investigations of electron density in crystals, the studies of the nature of chemical bonds, and the application of X-ray crystallography for determination of absolute stereochemistry. The information above is courtesy of the A.N. Nesmeyanov Institute of Organoelement Compounds of the Russian Academy of Sciences (INEOS RAN). The Yuri Timofeevich Struchkov obituary written by Alajos Kalman published in Acta Cryst. (1996). A52, 329-330.